Almost 13 years after it first hit stores, the original iPod line—with its navigation wheel and clickable play controls—has finally been retired by Apple, Gizmodo reports. Unlike the classic Mac OS, which was eulogized by Steve Jobs in a dramatic onstage funeral, the iPod Classic received no loving sendoff (or any mention whatsoever) at yesterday’s Apple event. Instead, Apple CEO Tim Cook presumably smothered the iPod Classic in its sleep as he gritted his teeth and tried not to cry. 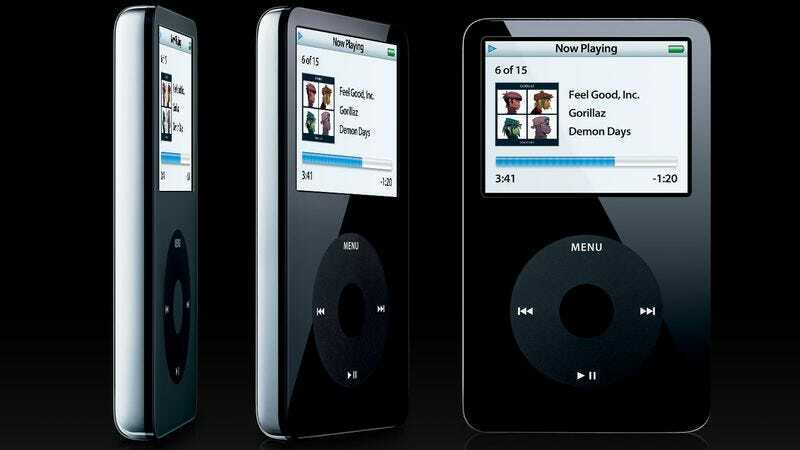 While the iPod Classic hadn’t been significantly updated in seven years, Apple had continued to sell Classics in its web store to satisfy diehards who believed that screens should be seen and not touched. But when Apple’s store came back online after the press conference yesterday, the Classic was nowhere to be found. So if you want a new iPod Classic of your own, you’ll have to build it in Minecraft.